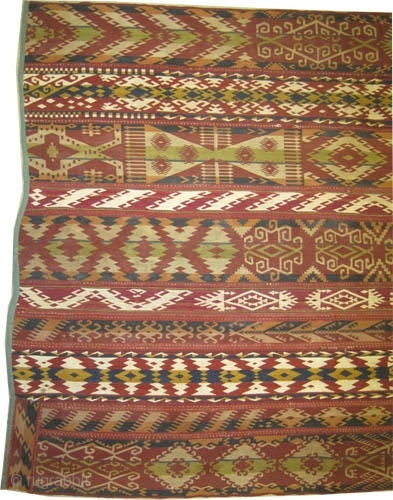 Northern Afghanistan Uzbek Gizlai flatwoven band fragment (almost half of the original) circa 1915 antique. 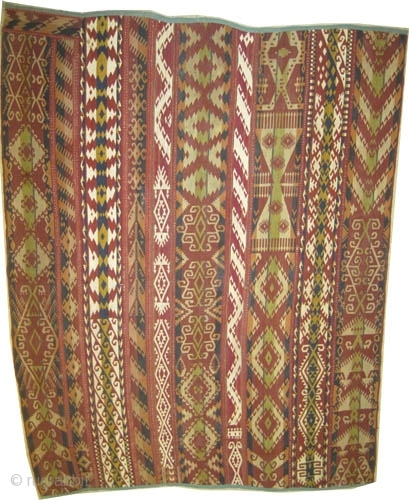 CarpetID: sa-546, Size: 196 x 155 (cm) 6' 5" x 5' 1"
Woven with very fine hand spun wool and with three different techniques, very decorative, perfect condition. 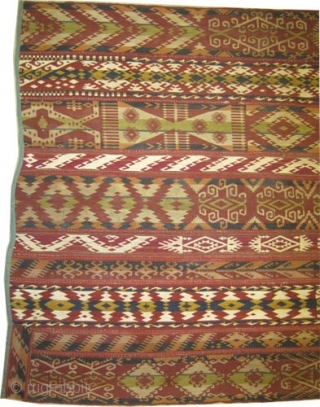 The photograph here is pictured sideways. 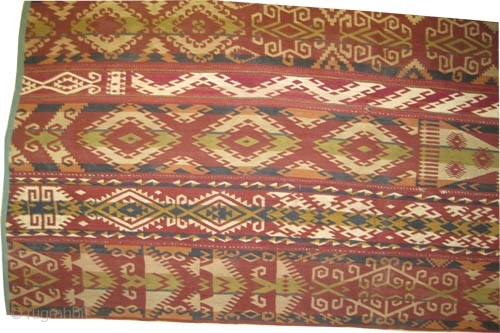 a similar example was published in the catalog of "uzbek" The textiles and life of the nomadic and sedentary Uzbek tribes ost Central-Asia on page 17.